300 years later, Twinings is now a purveyor of teas worldwide. They still sell tea from Thomas' shop, and they still work hard to bring new blends to tea lovers. Now, they have nearly 200 varieties and their teas are drunk all over the world. Established in 1976, the Japan Centre Food Hall is a well-loved institution situated in Central London with an outpost in Westfield Stratford City. In 2005 Japan Centre Online was launched to bring the store experience to those living outside London and the UK. 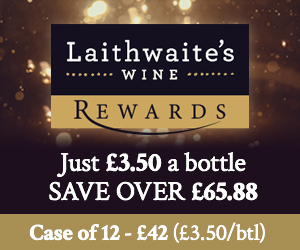 Laithwaite's began in 1969, when Tony Laithwaite took a job washing bottles in Bordeaux ... and fell in love with real wine and the people who make it. When he borrowed a van to share these delicious wines with friends and neighbours at home, things went so well that boutique wineries were soon queuing to take part. Today they are the UK's No.1 home-delivery wine merchant, with over 1,500 wines to choose from ... including red, white and rosé, plus Champagne and sparkling, beer and cider. Adnams is probably best-known for its beer but it does also have a Wine Team with over 100 years' worth of wine experience! Choose from their fantastic product range of nearly 500 wines, many of which are exclusive to Adnams. As well as beer and wine, you can buy spirits, food (chutneys, mustard, jam), branded kitchenware and gifts.